Is it possible to invest in Forex if you got a busy schedule? 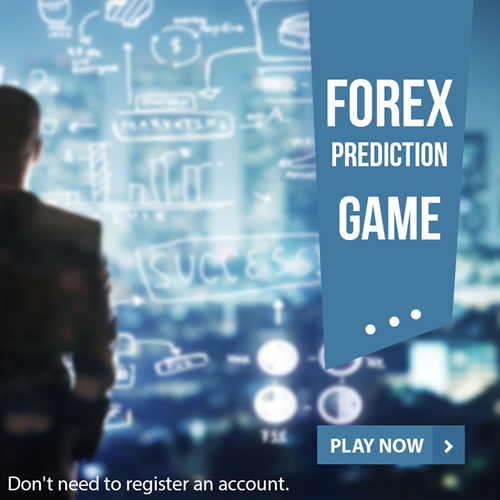 MoneyTec › Forums › Beginners Forum › Is it possible to invest in Forex if you got a busy schedule? This topic contains 6 replies, has 6 voices, and was last updated by ImBustedNoob 1 year, 4 months ago. Here, I would comfortably say “YES”. Technology has made things very easy and convenient for everyone. From those who only have $5 to invest, to those who simply have only a few minutes left off their busy schedules, every person can trade Forex. Your busy schedule is not the excuse of not ripping the advantages of trading Forex! For those with busy schedules, I think I can recommend other ways which they can use to trade without having to sit in front of their computers all day since with them that time isn’t even there. The first thing which I have personally seen to be very helpful is the ability to trade on the go using a Smartphone. Mobile Trading makes it easier to follow your trades. But since there are Forex trading tools which aren’t incorporated in the Smartphone trading apps, it would be good to also consider Forex managed accounts where you get a professional to manage your account on your behalf and off course having agreed how to share the returns. There is another option; that of using trading robots (Expert Advisors or EAs). However, I personally don’t think it is a very advisable choice if you don’t have enough time to monitor the trades on your computer. EAs require close attention since they at times misbehave or even fail. I have slightly different views in different scenarios. If anyone already got something they are getting good returns from then better to keep the focus there instead of trying too many things. But, if we are not making sufficient returns or we have a lot and want to make the investment then there are many options present nowadays. It could be PAMM, Account Managing services, Signal following, EA and all these, but my personal preference is never in these ways, as they are hard to work out. There are many good managers out there with 75-80% success ratio, but it all is obvious that we need to figure out the right place for it. Again, it’s not one of those things you could figure out easily, but is doable if we give proper time to these things. I am not in favor of EA at all, Peter. It needs to be created by our self or by someone really trustable. Otherwise, I will rather keep myself out from all this! I will say definitely yes, as many people make investment even without having any major awareness about it. I believe that is absolutely fine since we could use signal services, EA, PAMM account or various such services. It is very helpful and can bring plenty of rewards for all involved out there. I believe that Forex is tailor-made for such people, as there is absolutely no time restriction at all, so that means we can do it according to our own schedule and we can do it even if we are busy. I don’t like to depend on others or use EAs, I like to trade only myself and if I can’t do it then I just don’t do it, as I don’t see the benefit of urgency. Sometimes, it is better not to invest if we are not able to give proper time, as it is a bit too risky to go without knowing the target or having time to actually create the target. We got to work it out very carefully in order to gain well. I have enough time, so that’s why I never mind making the investment, especially that is with the massive potential that is here. You don’t have to sit 24/7 in front of the desktop/laptop/tablet screen to make profits. You just need a good strategy that can be applied on certain time. If we are highly successful in our work and busy due to that, then don’t need to do anything else. If we are busy due to personal activities then it is must to take out time. You can’t run without fuel and money is the fuel that needs to be there! Forex is an ideal business for making good money consistently.